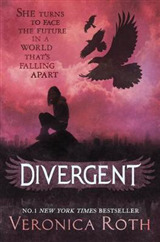 Fans of the Divergent series by No. 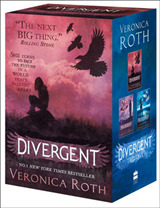 1 New York Times bestselling author Veronica Roth will be thrilled by Four: A Divergent Collection, a companion volume that includes four pre-Divergent stories told from Tobias Eaton's point of view.DIVERGENT - a major motion picture in 2014.Readers first encountered Tobias Eaton as "Four" in Divergent. His voice is an integral part of Allegiant. 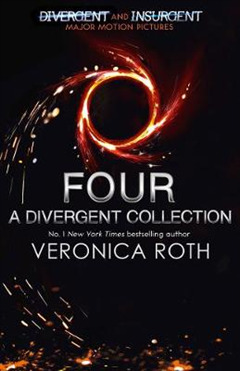 Readers will find more of this charismatic character's backstory told from his own perspective in Four: A Divergent Collection. 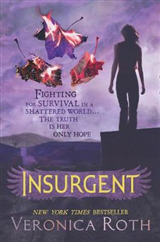 When read together, these long narrative pieces illuminate the defining moments in Tobias Eaton's life.The first three pieces in this volume - "The Transfer," "The Initiate," and "The Son" - follow Tobias's transfer from Abnegation to Dauntless, his Dauntless initiation, and the first clues that a foul plan is brewing in the leadership of two factions.The fourth story, "The Traitor," runs parallel with the events of Divergent, giving readers a glimpse into the decisions of loyalty - and love - that Tobias makes in the weeks after he meets Tris Prior.Exclusive scenes included!